Los Angeles is known by many as a city divided into brown, black, white, and yellow communities, a city with a long history of ethnic group tensions, gang fights, race riots, and racist cops. Los Angeles is also a cosmopolitan city of incredible wealth and poverty, a city where peoples from all over the world speaking various languages interact and often clash, a city of disparate and shifting valuations, a city where peoples mix creating new cultural identities, products, and traditions. In all, Los Angeles does more than complicate received understandings of multicultural diversity. That is to say, Los Angeles is the mecca of cultural diversity to the nth degree. Los Angeles is also the city where I grew up, live, and teach English. Simply put, I help students (high school and college) become better readers, writers, and critical thinkers. This unassuming work, I would argue, is very important—even a form of social activism—insofar as in helping students become more literate I also develop their capabilities to participate effectively in public debates regarding social issues that they might care deeply about, now or in the future. In other words, to have an intelligible public voice, or to be an effective social activist, you need to be fully literate in English like the affluent and highly educated are—which is where I come in as an educator who cultivates writing, reading, rhetorical, and thinking capabilities in individual students. As a teacher in Los Angeles, I experience cultural diversity to the nth degree anew every time I start a new class. In the first four or five class meetings, I like to number out students many times over, creating groups of various sizes that allow students to both collaborate and to become more familiar with the knowledge, experience, and lived diversity of each other. 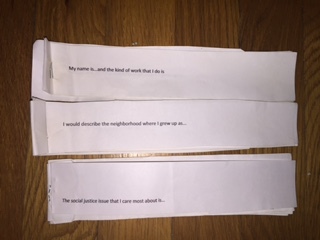 I start my classes with a no-pressure, ice-breaker activity that literally provides students in groups of six with a script of sentence stems that prompt them to share basic information about themselves (as much or as little as they want) regarding topics such as what they do for work, where they grew up and live, why they’re here in college, where they see themselves in five years, and what social justice issue they care most about. Stems for this script activity can be customized for different types of classes, and the scripting strategy can be used for various purposes as a means to focus small groups on particular questions, issues, or topics. This is just a glimpse of what cultural diversity to the nth degree typically sounds like in the classes that I teach. If you want to experience cultural diversity that overflows standard categories, definitions, and understandings of multicultural diversity then you might love teaching in Los Angeles public schools. If you want to live in a city that is a fluid composite of established cultures, fading cultures, evolving cultures, indistinct cultures, and cultures in making then Los Angeles might be the place for you. 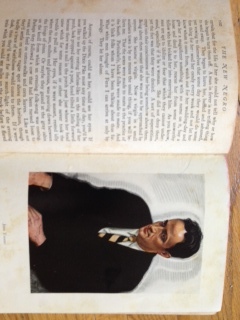 Read my entire article at the Oxford MELUS page. If you do not have access, a link to the article is accessible in my list of scholarly articles.